Why is it so Hard to Meet People in Tokyo? You’re here! You live in Tokyo, the most densely populated region on planet earth! Now, how do you actually meet new friends in Japan? My friend Lan is from an Asian country where, according to her, it is much easier to go to a new place and make friends. However, Japanese people seem to be shying away from her and so far, after living in Japan for over a year, she still can’t say she has any 親友 (shinyu: confidants, close friends she can rely on). She has co-workers but other than work and a little chit-chat about what each other did over the weekend, that’s it. She has neighbors but other than talking about the weather, no one invites her over or asks her how her day is. She sees plenty of people on the train on her commute to work, but none would stop and say hello. Sadly, I know more people like Lan in Japan than I can count. After listening to a few stories of her encounters with Japanese people, I was able to notice one possible flaw in her approach: she was too direct for comfort. Her first month on the job, she invited some of her co-workers to her place for a meal. In Japan, until some magical period of time has passed (which can take months or years) rarely will you ever be invited to a Japanese person’s home, nor would a Japanese person accept such an offer. There are exceptions of course and if you ever do have a legitimate chance to be invited to a Japanese home, you should totally go. You may have just found one of the most coveted treasures of all in Japan, a real friend. Lan then tried inviting co-workers to the park or to go shopping. Although no one openly refused her offer, no one accepted either. Welcome to the place between “maybe” and “no”. I cannot tell you how many hundreds of times over my life in Japan I have heard this complaint from acquaintances of mine, friends or one of those Facebook or YouTube ranters. This is even despite being an English speaker, meaning potentially being more approachable to people who might want to speak with someone from a different background. I’ve never had trouble getting opportunities to just hang out with people I met in Japan, but I will be honest, after nearly half a decade of living in Tokyo I can count the number of people on one hand that I would feel comfortable calling up at 1am to say, “Hey, I missed my train. Can I crash at your place?” Or even the less extreme, “Hey, what are you doing? How about you come over for dinner at my place?” That is to say, having a true friend. Even in university in Japan, just to meet people, they would often schedule up to a MONTH in advance. Few people I met were willing to just hang out today or even that week. They would say, “Hey Martin. What are you doing on June 16th at 7pm?” Unless you are asking me on June 16th, I usually would have no clue. But no, I would be asked this kind of question often in mid-May or even APRIL (2 whole months ahead of time). I had never seen a culture until then where college kids ask each other up to a month in advance just to go out to eat 焼肉 yakiniku (grilled beef) or for just a small gathering of 10 or so people. So can you imagine me asking someone what they are doing on say a day like “Today?” They would either already have some pressing schedule or maybe, just maybe have that rare day where nothing was scheduled at all. That was uncommon to say the least. What are Japanese people doing that they are so busy they need to schedule up to a month in advance just to hang out? Well, nothing more than people do in other countries really. Just, Tokyo is a crowded place and getting an appointment at the doctors or even to get your hair done can also take weeks or months. Most people in university do part time jobs. The job shifts are scheduled by the month too so you have to check your calendar to know when you are free. So far the same as anywhere right. But the level to which Tokyo is crowded cannot be compared with any other place in the world. Just reserving a space big enough for 10 busy people can be a big task. 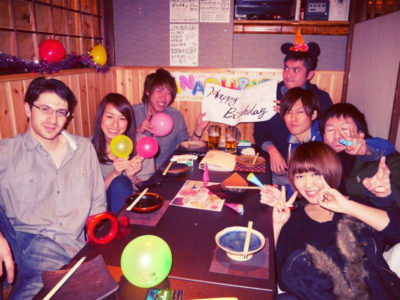 Second, meals, even just nights out at the 居酒屋 izakaya (Japanese bar-restaurant) can run you 20-50 USD per person! Japanese people don’t make that much money working part time or full time on average to be able to go out to an izakaya every night of the month. So if they are going to go out and spend a lot of money, it better be worth it. Here is another thing to consider: Commuters vs city dwellers. The actual population of the greater Tokyo area is anywhere between 13 and 38 million people! Why the disparity in the figures you ask? Well, technically Tokyo is the name of a city but also the name of a region or city-state. If we consider the actual region or city-state, there are 38 million inhabitants in Tokyo. Yet that figure is still too low for how many bodies are actually inside the region of Tokyo during a regular working day. Although there are few reliable figures to refer to, it is known the region swells in the millions from around 6am to 7pm in particular with people commuting in and out from Chiba, Saitama, Kanagawa and other surrounding prefectures. 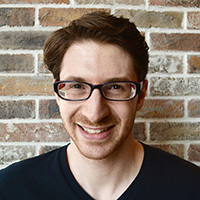 Since housing is generally more affordable in the areas outside of the center of Tokyo (i.e., the 23 main wards in the center of Tokyo) particularly in the surrounding prefectures of Chiba, Saitama, and Kanagawa, most young people you will meet on a night out in Tokyo might be from somewhere up to an hour or an hour and a half away. So meeting them in Tokyo again say the next day might not be such an easy task for them. Commuters may work or study in Tokyo, but unless they live there, it is unlikely that they will swing in and out of the city spontaneously just to hang out with you. If you want to hang out with a commuter, since they are in two places on most days and commuting for up to 3 hours in total a day, they more than likely will want to schedule a “play date” with you as opposed to be open to “Hey, what are you doing now? Wanna hang out in Shibuya?” kind of call. No wonder they want to schedule up to a month in advance just to hang out! It isn’t because Tokyoites and the people you meet there are mean or cold hearted. It is because they are stressed out, tired and fighting just to keep a little bit of yen in their pocket. Can you blame them for being choosy with their time? People may think that eating out with just one person they know is a waste of their precious time. Maybe they don’t see it in those terms but point is, they don’t do it so often. They instead often attend larger functions that are scheduled out nearly a month in advance usually at izakayas. Sometimes if people are having a lot of fun, they will keep going. A part of the group may go home after place one, but another group may split off and want to go to what is called the 二次会 (nijikai: the second gathering). There is a an entire industry of establishments that cater to people who stay out in Tokyo too late and miss their last trains (particurlarl near the larger train stations like Shinjuku, Shibuya, Ikebukuro, Nihonbashi, etc.). Karaoke is often a go-to when you have several hours to burn till the last train (i.e, the 三次会 sanjikai: third gathering). Then if people are really hungry, they might go to eat ramen. Let’s say Lan goes to some of these parties and meets Yui (a common Japanese girl’s name). They may then decide to go hang out one on one but usually in my experience, this takes time. Some Yui’s will hang out with Lan right away like that weekend or the next. But a lot Yui’s out there will do the same thing as above and pencil Lan in some random date later that fits in their busy schedule. If you meet the kind of Yui that is willing to just hang out with you any time, I am telling you, value your time with that person. They are hard to find in this lonely Coruscant-like massive megatropolis called Tokyo. If you haven’t found someone like that yet, I say keep looking. They are there. Just with so many busy people in Tokyo, they might be a bit harder to spot. Not my birthday, but I was often invited out with my friends in Fukuoka, any day of the week! Charlie: I actually lived in Fukuoka and Nagoya for nearly three years before finally moving to Tokyo a year ago, and I can say for sure that Tokyo culture (especially with regards to friendship but also work and dating) is very different. There are just so many people here and the pace is so fast that it seems like everyone is surrounded by a three-foot bubble that pushes other people away. I didn’t have the same experience in Fukuoka where I had a lot of friends almost instantly when I arrived. I actually made a lot of friends from meetup groups! It was the first place I went in Fukuoka and being a member and going to a cafe to meet with them helped me not to feel so alone way out in the countryside. 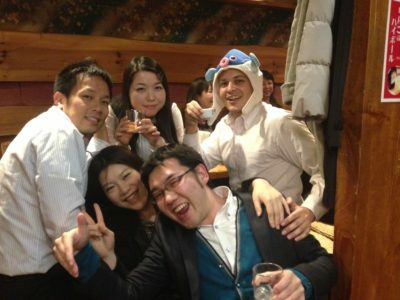 In Tokyo there are a ton more meetups than in Fukuoka, with every interest imaginable. I picked up on a few straight away. Not just language exchanges but coffee aficionados, business groups for entrepreneurs, airsoft survival games and just about anything you can think of. I’ve made a bunch of friends in Tokyo just in the last 3 months with that alone. You may get more attention at parties or just feel it easy to strike up conversations by virtue of being an interesting foreigner, which I’m sure you are! Yet I have still found many Europeans and North Americans to have similar complaints about having “friends” but not “good friends.” You know, the kind that let you crash at their place at a moment’s notice or are willing to pick you up when you’re in a bind. Or just, the kind that you can be downright honest with. It usually takes time no matter where you are from to really trust anyone. As we can see from the above, it is simply hard to schedule in any time at all with people in Tokyo. 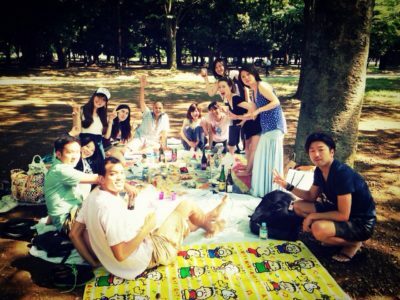 No wonder then it is difficult to develop long-lasting true friendships in Tokyo. People are just so busy. Some people come away from the experience feeling Tokyoites are cold-hearted and unfriendly. It’s not that. They are just tired and busy but like anyone they desire connection with other people. If you look hard enough though, you will find some really relaxed and chill people who would be more than happy to be your friend. How do you find that kind of person in a city of 38 million! I’ll do another article on this soon, but suffice to say that you’re not alone. Making friends anywhere is tough, and especially in a culture that isn’t the one you grew up with, in a language that isn’t your first.